Things have been going really well with this. Once my PH dropped below 7.8 the plants just took off! I had to put cage's around the cherry tomatos and the green beens because of the excessive growth. We have also had temperature near 100 F all week but the fish tank has stayed near or below 80F. I guess the insulation is doing it's job. 1 thing I have noticed is that I have to add a little more water than usual because of the evaporation. I think I need to seal up the sumps a little better to help with this. So far no fish deaths, and the water chemistry is really good 0 Ammonia, 0 Nitrite, 0 nitrate with the PH being 7.6 . 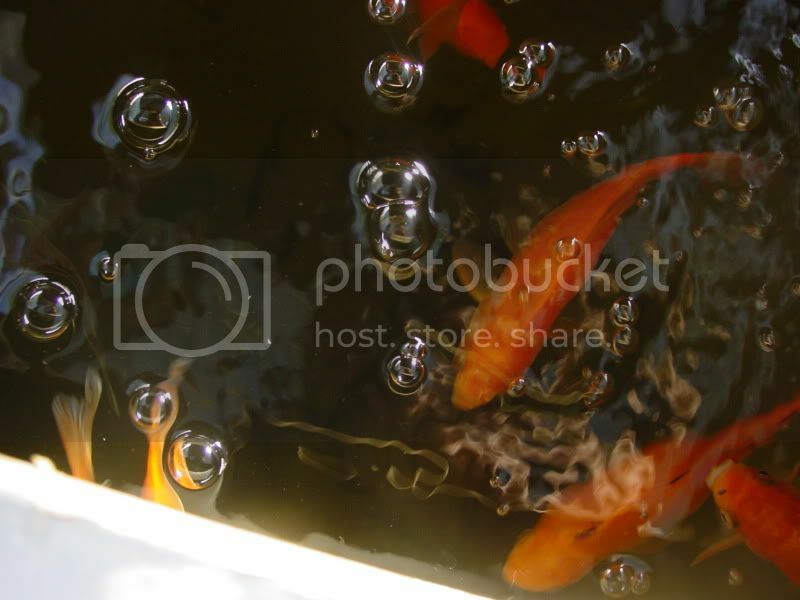 I have also noticed that the goldfish and catfish have really segragated themselves with the gold fish on top and catfish on bottom. If you look real close you can see the catfish at the bottom. Well let me know what you think! Once my PH dropped below 7.8 the plants just took off! There are a variety of elements (iron being one of them) that are "locked up" and not biologically available to plants as PH rises. It is only when PH drops below 8 that the plants will be able to access more of the elements in the water - the lower the PH, the easier it is for the plants to access them. I have heard a number of stories on the forums of people complaining about leaves of their plants going "yellow" even though they were adding iron chelates to the water. It wasn't until the PH dropped below 8 that the problem fixed itself. 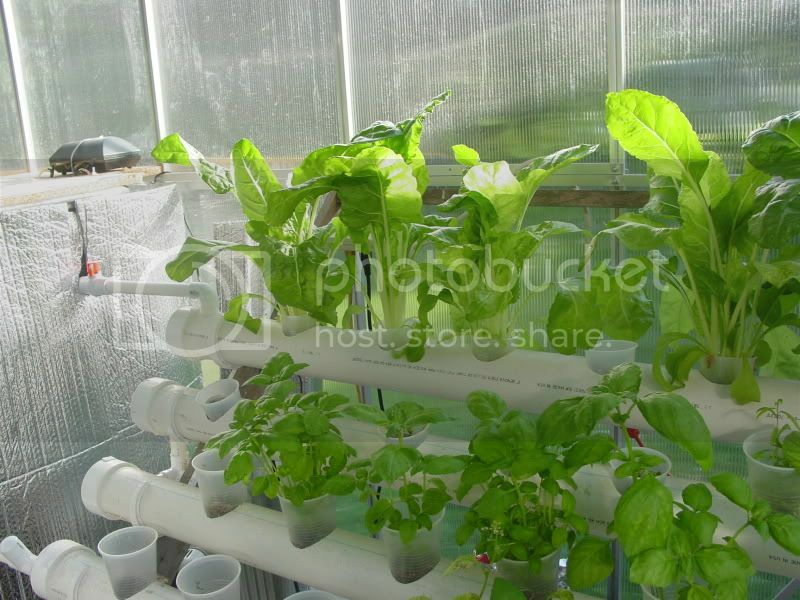 The Aquaponics Map shows backyard aquaponics systems around the world - add yours! 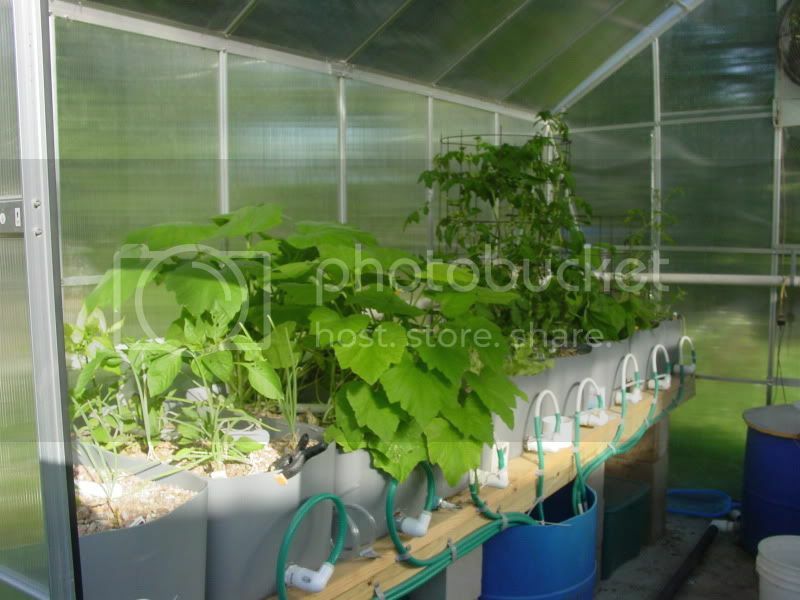 Follow me on Twitter, add me as a friend on Facebook or view my Aquaponics Systems blog. Yeah I knew that was my problem but with all the limestone around here even the well water is highly alkaline. It has been a battle, but I am winning! You can condition your make-up water with a little Muratic Acid. You can get it by the gallon at home depot. It doesn't take very much, so be careful if you use it. Is there a ratio to this? I am assumming you base it on begining PH vs target PH. You could calculate it, but depending on the species of what is buffering the water, you need different amounts. I put in an eye dropper full (5ml) per 100 gallons, wait an hour and test. Repeat until the pH is where you want it. Be sure to have lots of flow to be sure it is all mixed. As the pH drops, more limestone may go into solution, so it can take some time to get it where you want it. Remember that pH is a log scale, so as you go from 9 to 8 it takes 10 times as much acid as it takes to go from 8 to 7. Go cautiously. Use rubber gloves and a face shield. You can't replace your eyes. Thanks now that I got my well going this will help a bunch! I use the Linux Operating System ...... Free as in beer! Sounds like something is buffering your water. Before you go overboard, double check your pH kit. These things go bad fast. Sounds like something is buffering your water. Before you go overboard, double check your pH kit. These things go bad fast. 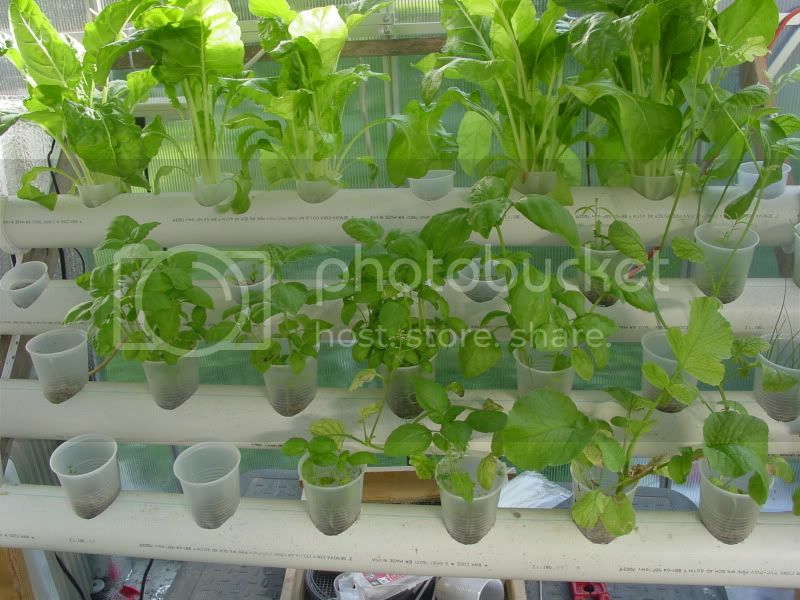 Can I build an aquaponics system on a lake?